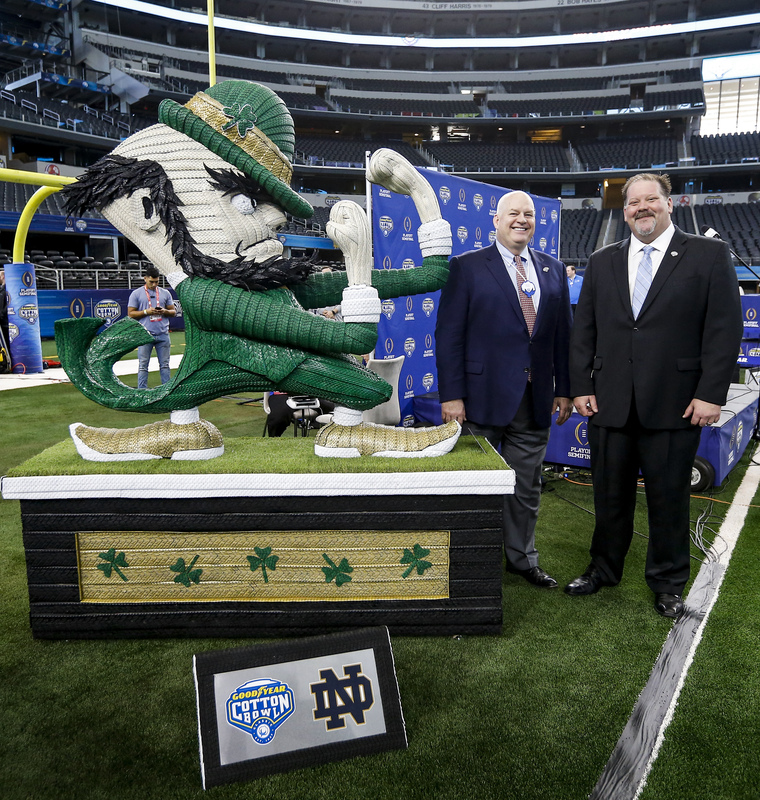 In addition to the Cotton Bowl, Goodyear will continue its collaboration with ESPN, the exclusive media rights holder of the Goodyear Cotton Bowl Classic and the College Football Playoff. As part of this collaboration, Goodyear will provide aerial coverage for ESPN’s mostwatched college football games. 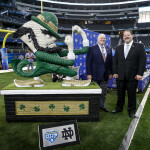 ESPN will also bring to life Goodyear’s position in the sport with multimedia support across their platforms, and Goodyear will remain an Official Sponsor of the College Football Playoff. “Goodyear has a storied history with college football and with ESPN,” said Rita Ferro, president, Disney advertising sales. 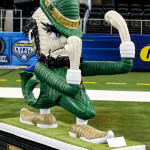 “They’ve given fans a unique perspective of the game for decades, and we look forward to continuing our relationship for years to come.” To celebrate the sponsorship renewal, Goodyear and the Cotton Bowl continued their tradition of creating life-sized sculptures – made out of tires – of the mascots of the competing teams. 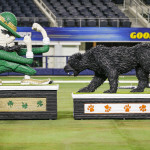 The sculptures recognize the drive and effort of each of the competing teams to make it to the Goodyear Cotton Bowl Classic. 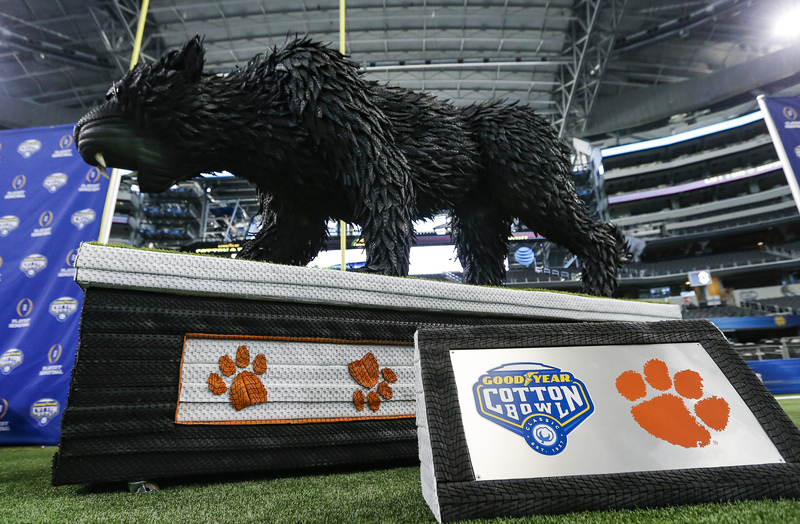 The sculptures were unveiled on Dec. 27, at AT&T Stadium. 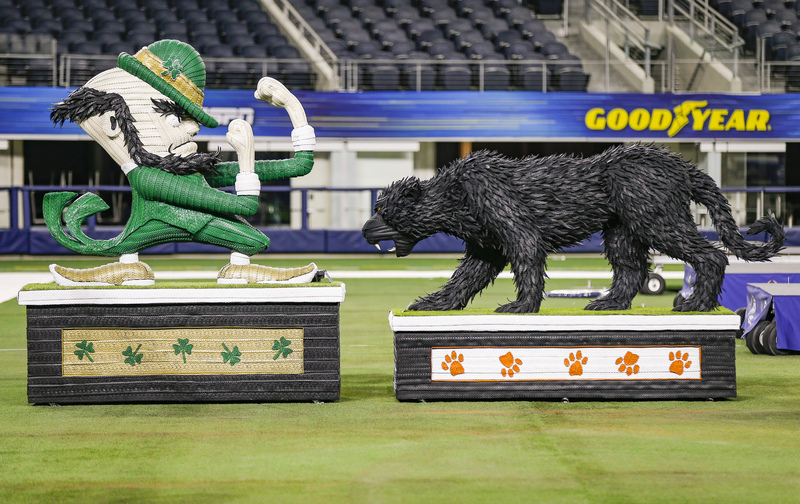 This year, the tire art features the University of Notre Dame’s mascot, The Notre Dame Leprechaun and Clemson University’s mascot, The Clemson Tiger. The artwork took more than 500 hours to create and was constructed from more than 375 Goodyear-branded tires and 3,200 hidden screws. 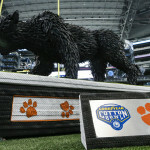 The tire art will serve as the centerpiece for many of the Goodyear Cotton Bowl Classic festivities leading up to the game on Dec. 29. 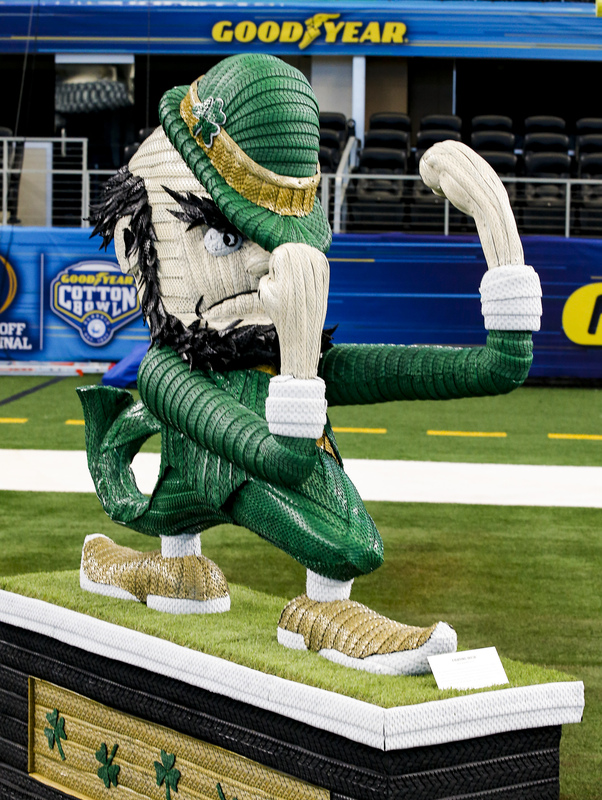 Each sculpture will be donated by Goodyear to the universities after the game. For a third consecutive year, the brand commissioned tire artist and former minor league baseball pitcher, Blake McFarland, to handcraft the statues. “Each year we look forward to how Goodyear honors the participating teams in a creative way that is distinctively Goodyear,” said Michael Konradi, Goodyear Cotton Bowl Classic chief marketing officer. “Goodyear’s history in college football and commitment to continually enhance the bowl game experience is one of the many reasons we’re proud to extend our partnership.” The 2018 Goodyear Cotton Bowl Classic game kicks off on ESPN on Dec. 29, at 3 p.m. CST.